Too much anger can be costly, both physically and emotionally. Most people can express their anger in appropriate ways in some situations, and yet be ineffective in others. The Anger Management Workbook and Curriculum reduces levels of anger especially in provocative situations. Participants will learn effective skills, concepts and techniques to stop escalation and to resolve conflicts. 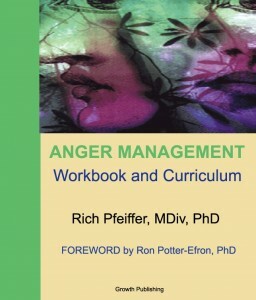 The workbook and curriculum is accredited by the National Anger Management Association (NAMA). The evidence-based and clinically-proven anger management practices are presented in clear and understandable language and usable for individuals, groups, or teaching classes or workshops. The twelve (12) Modules include effective anger management skills, calming techniques, expressing negative emotion skills, stress and anxiety management, conflict resolution skills, and practical solutions.